In the US, 542,000 EV have been sold. Tesla has caused electric vehicles to become more popular, and they are currently the most valuable US auto-maker. Portable electric vehicles are growing in popularity. Jehan, a Whittier College Student has been monitoring and is passionate about this industry. 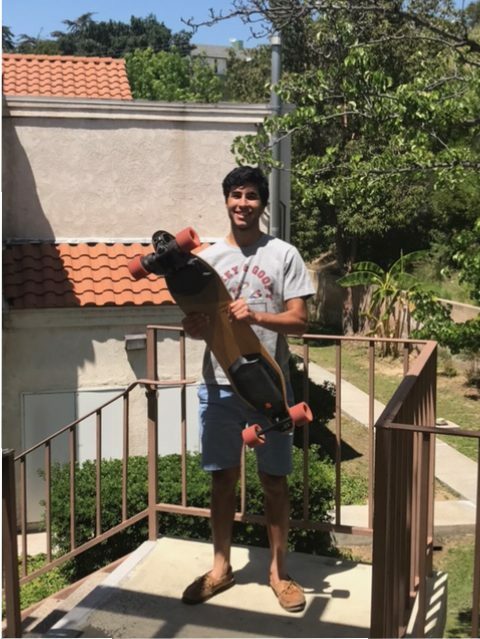 He owns a “Boosted Board” and rides it in San Francisco and on the Whittier College campus. “Boosted Board” is a company that was created by two students at Stanford University. Boosted boards are geared for people who live in clustered cities such as San Francisco and New York. This new form of transportation is perfect for that daily commute to work. This board is powered by portable batteries and a bluetooth remote to communicate with the rider. These boards with standard battery have a 6-8 mile range. These boards with extended battery have a 12-14 mile range, and are environmentally friendly and sustainable.